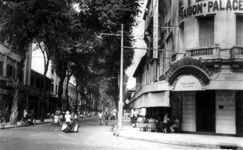 Left : The Eden shopping center, which took the place of the Eden Passage and its cinema. 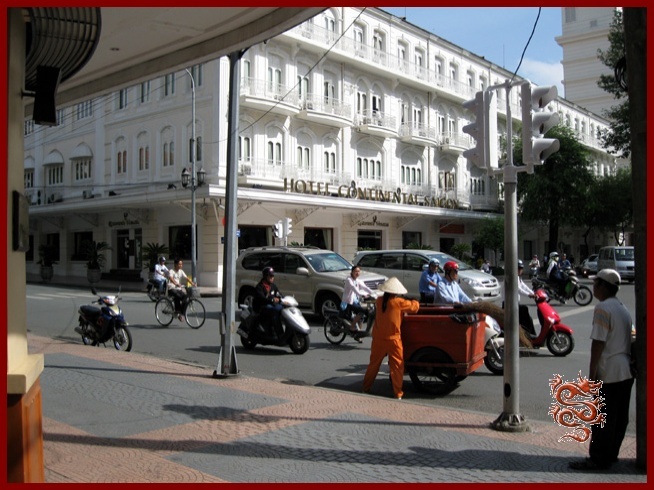 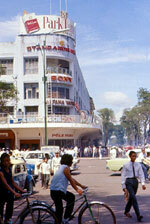 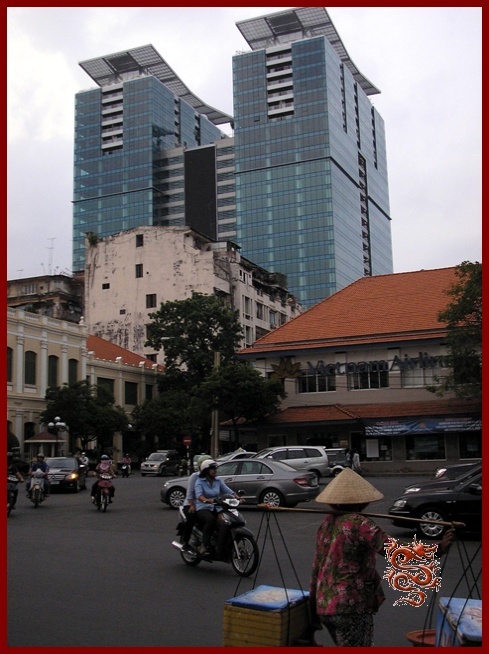 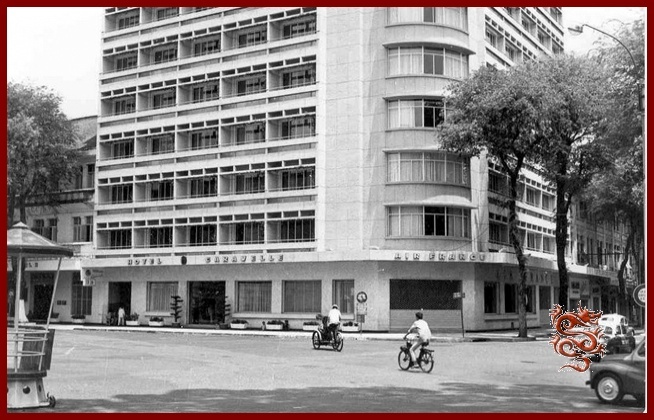 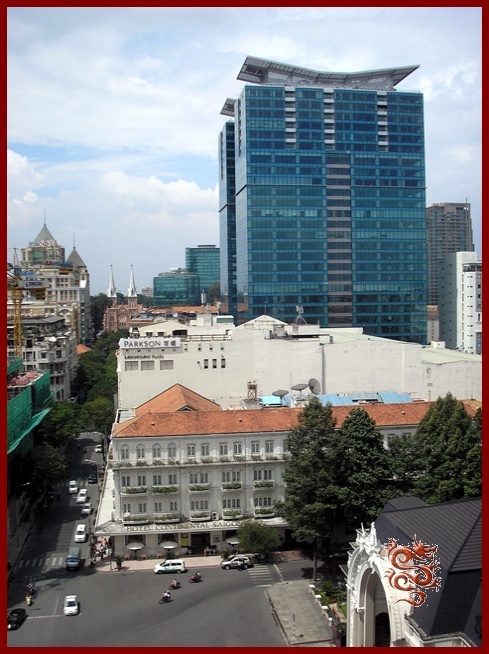 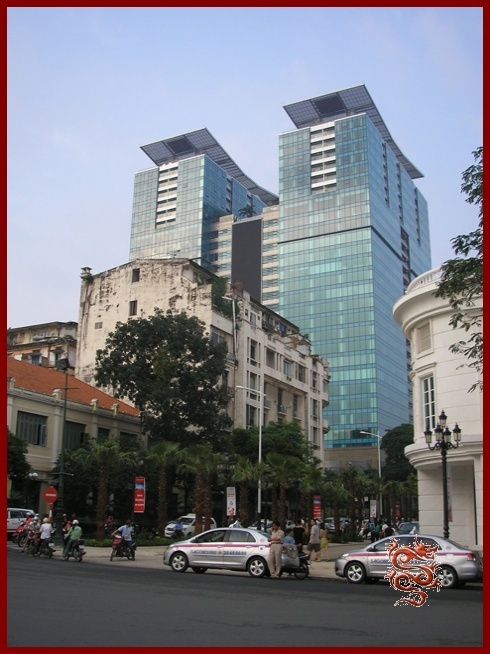 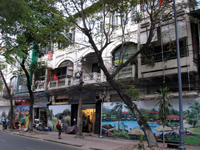 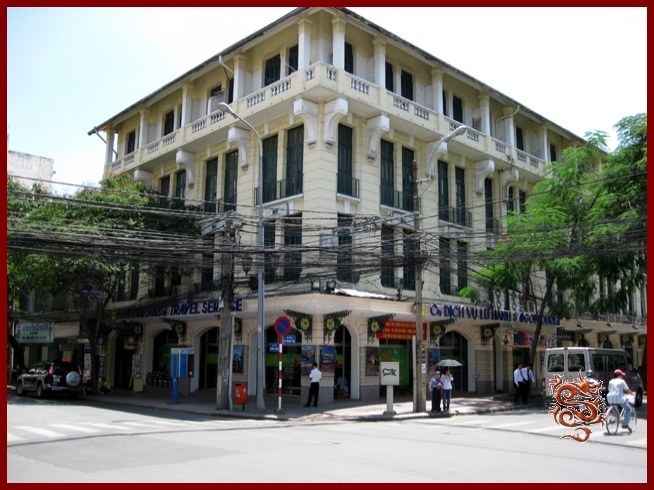 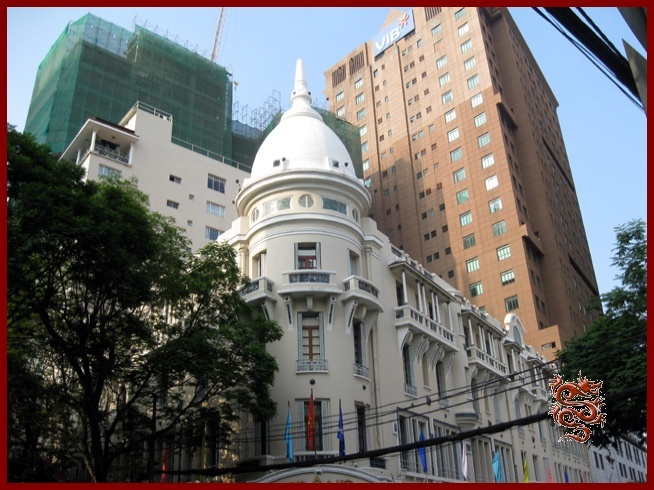 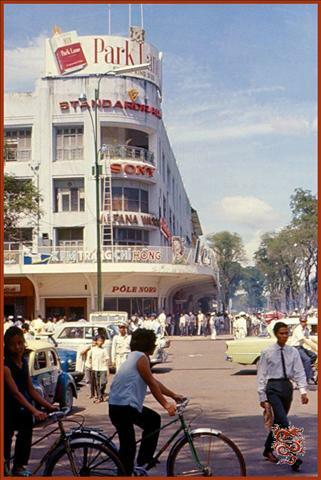 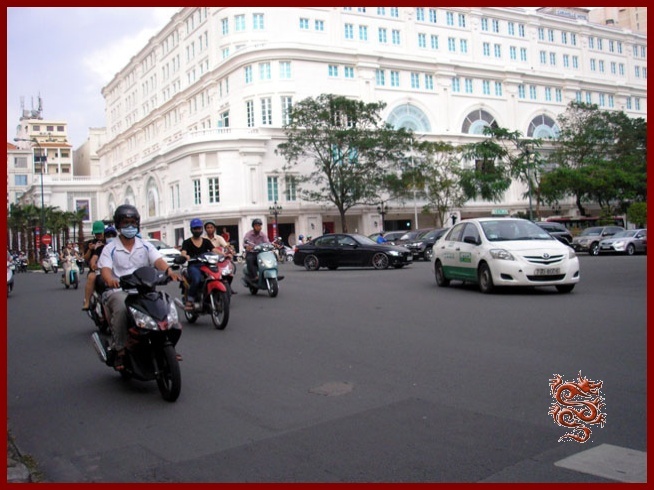 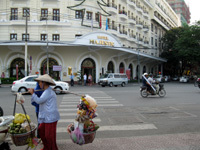 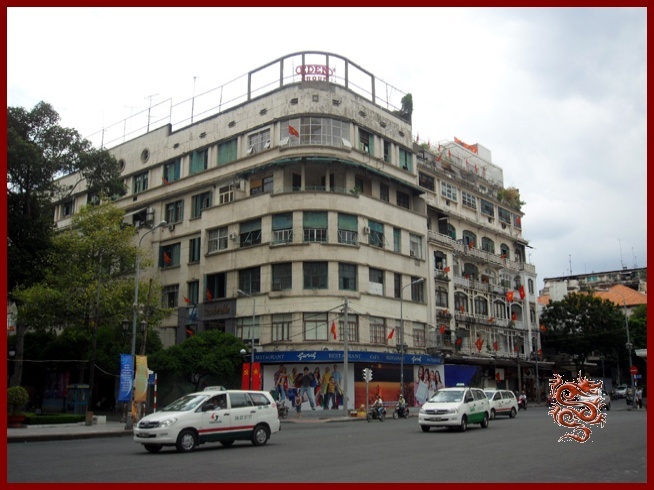 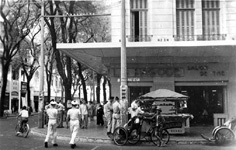 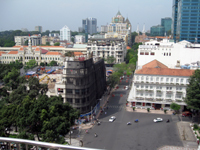 Right: The Hotel Continental, since 1880 a witness to the passionate history of Saigon. 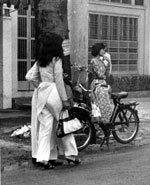 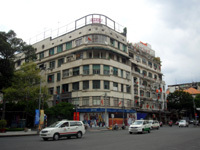 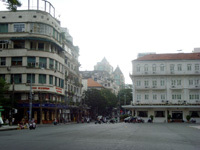 On the corner of 132-134 Đồng Khởi Street (formerly Catinat) and Law Son Square (formerly Theater Square). 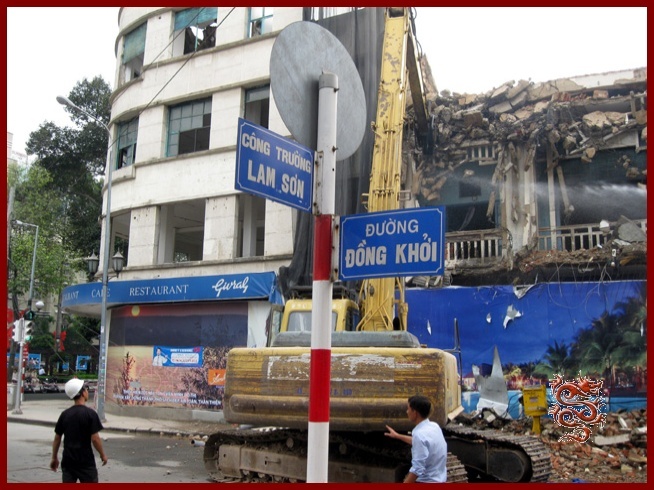 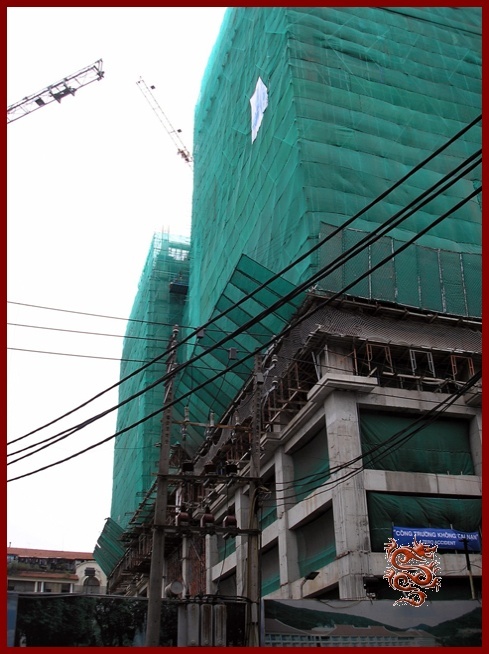 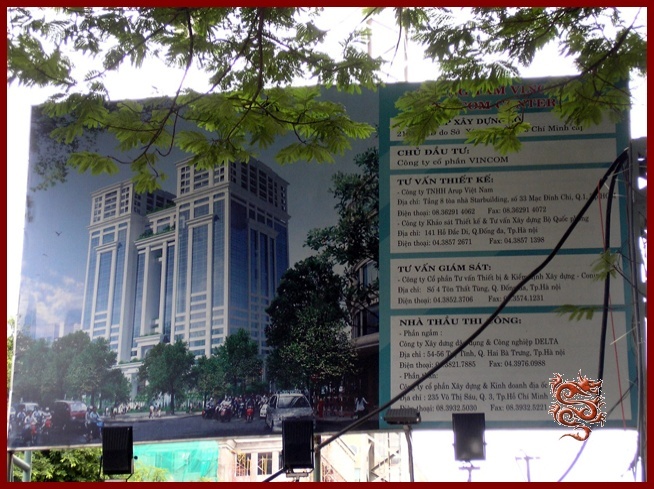 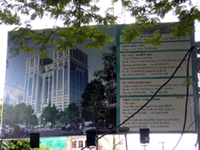 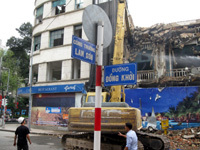 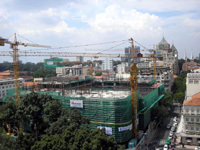 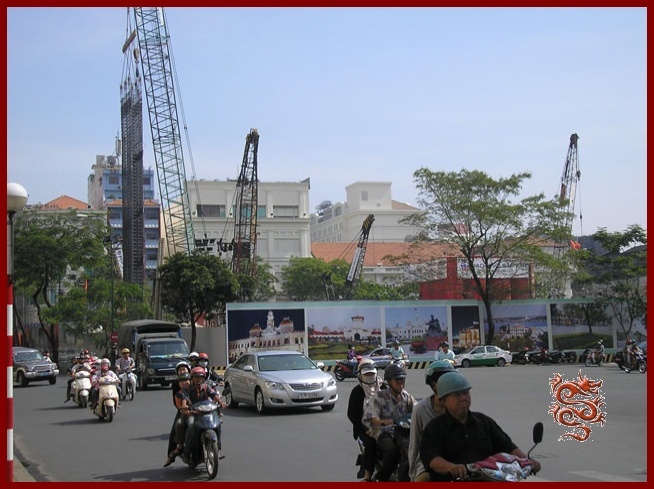 Left photo : Information board at the Vincom B construction site in September 2009 at the location of P. Pagès Square on the even side of Đồng Khởi between the Hotel Continental and Notre Dame Cathedral. 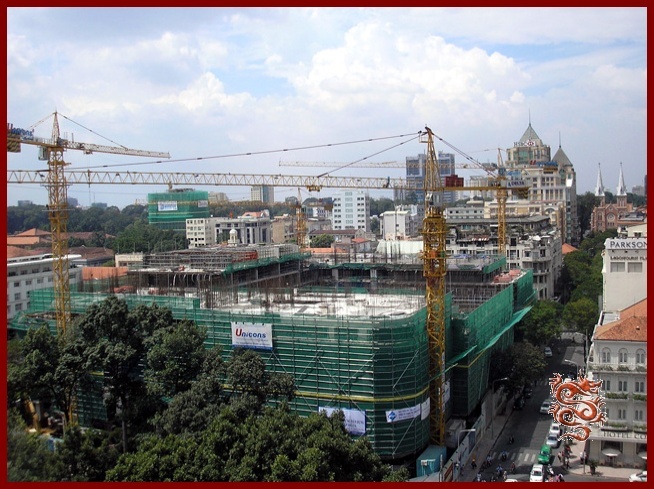 Middle photo: Construction of the Vincom Center Towers in September 2009. 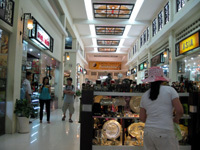 Right photo: Inauguration of the shopping center in May of 2010. 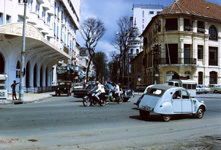 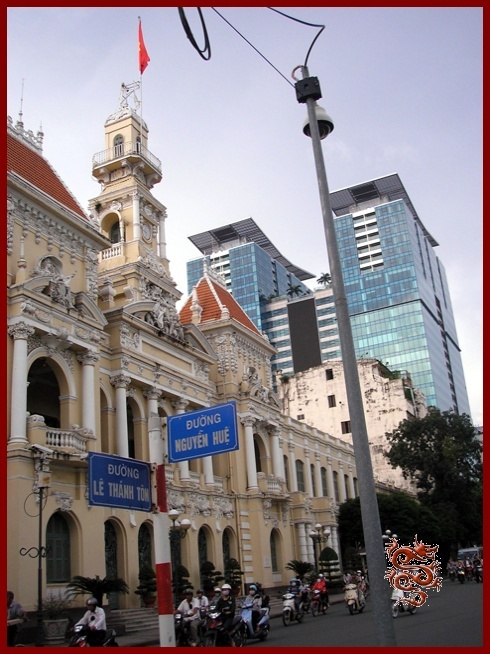 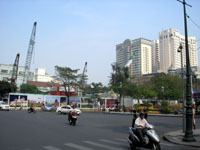 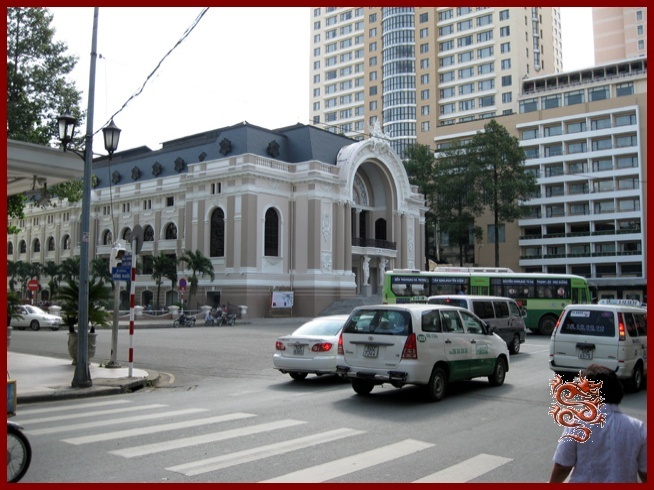 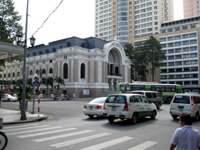 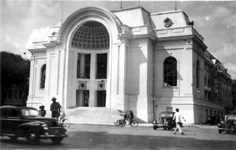 Left: From the Saigon city Hall at the corner of Lê Thanh Tôn and Nguyễn Huệ (formerly Charner Bld). 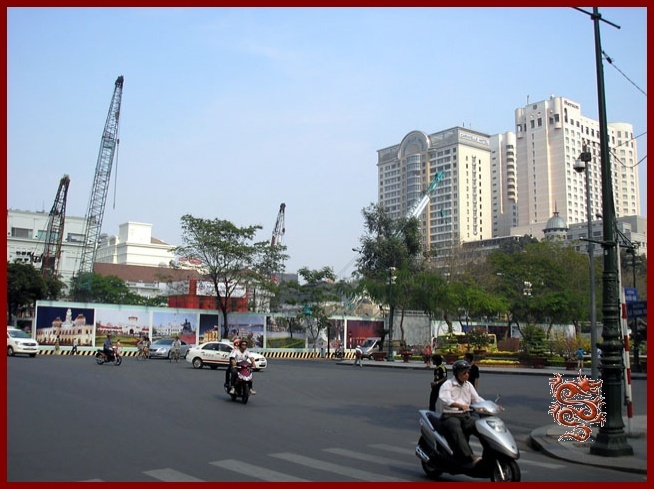 Center: Two views- left, taken in May 2010; right, in September 2012. 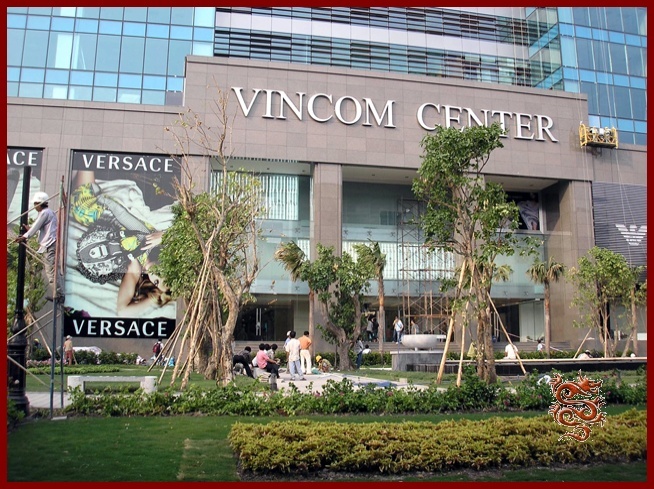 Right: The Vincom B shopping center in May 2010. 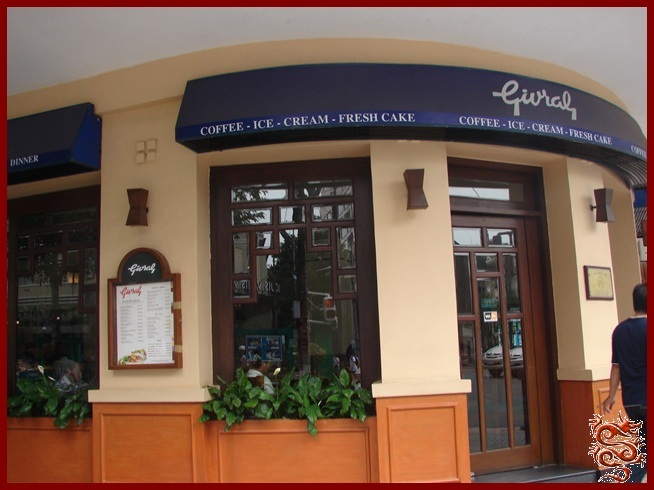 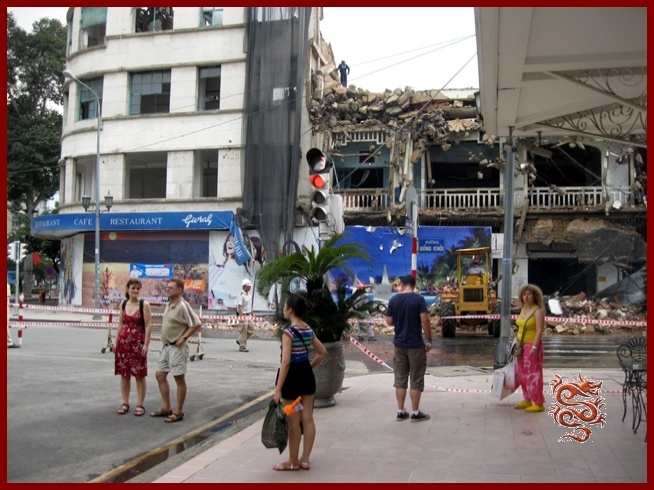 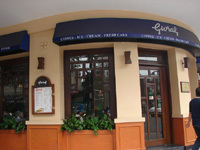 Demolition of the Eden mall and of the restaurant-cafe “Givral”, in Saigon since 1950, and whose motto was “A Treat without Equal…”was located at number 169, Ð?ng Kh?i (formerly Catinat) Street from April 2010 to December 31st 2011. 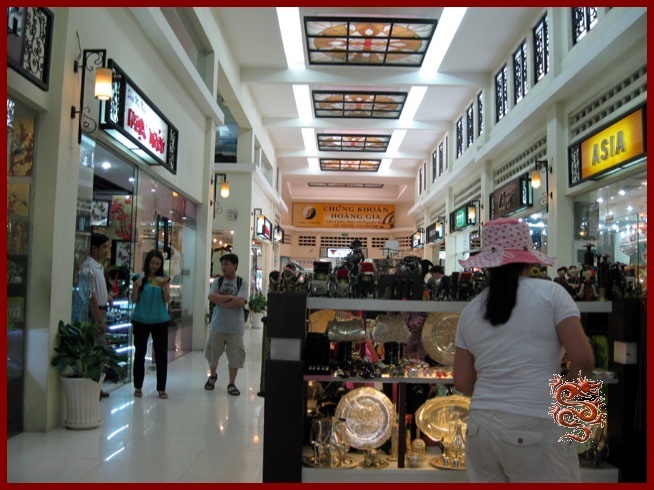 The Eden mall in April 2009 with its numerous souvenir and antique shops. 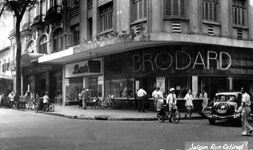 Left: At number 185 the "Portail" Bokstore was changed to "Fahasa" Bookshop after 1955 . 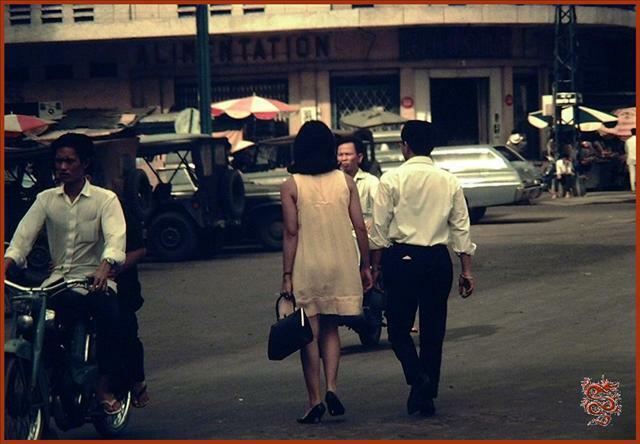 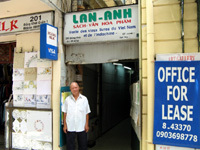 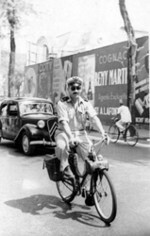 Right: At number 201, Monsieur Lan Anh was the most pro-French of the Saigon booksellers. 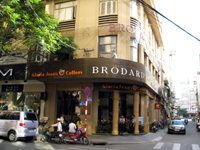 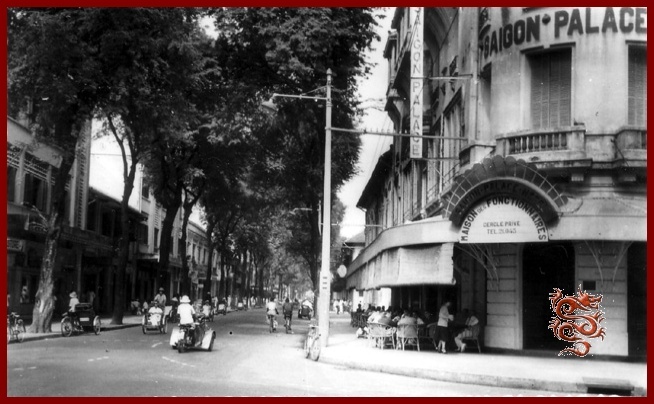 At number 209, at the corner of Đồng Khởi and number 47 Lê Thanh Tôn (formerly Le Loi St. and Spain St.) was located the "La Pagode" Tea Room whose manager was the famous Monsieur Bédué. 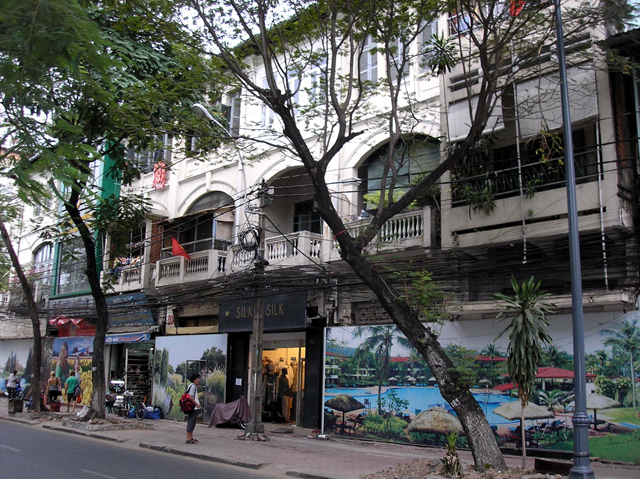 Events changed this Saigon institution into a State Travel Agency. 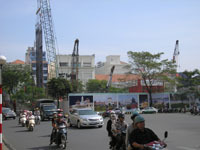 Demolition of “La Pagode” in May 2010. 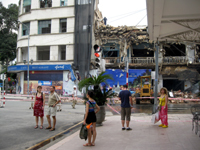 Demolition of the Eden; nothing remains of the Eden block at the beginning of 2011. 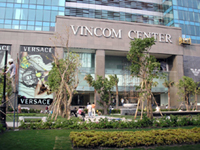 Construction of “Vincom Center A” can beginr. 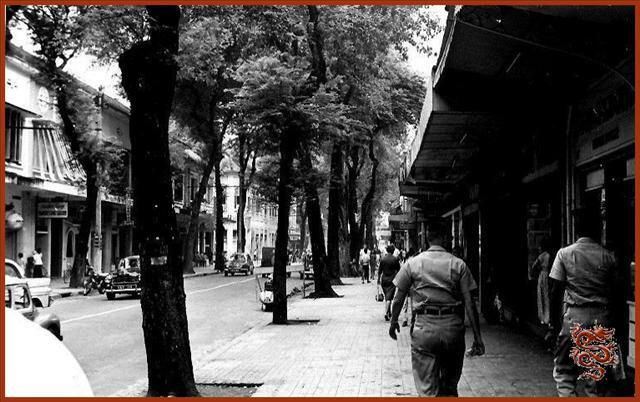 Fifty years separate these two photos. 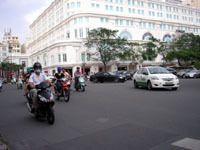 Scooters have replaced Velosolexes on Law Son Square (formerly Theater Square), and the “Vincom Center A” has replaced the Eden mall. 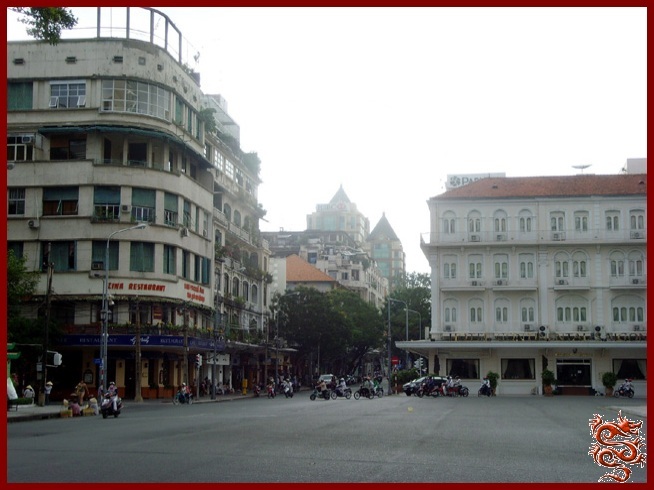 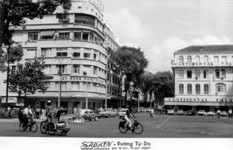 The disappearance of the city block including , Đồng Khởi (formerly Catinat), Nguyễn Huệ Blvd. 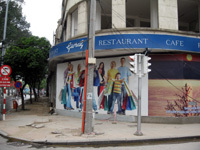 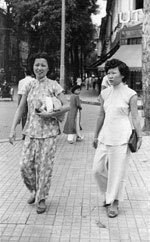 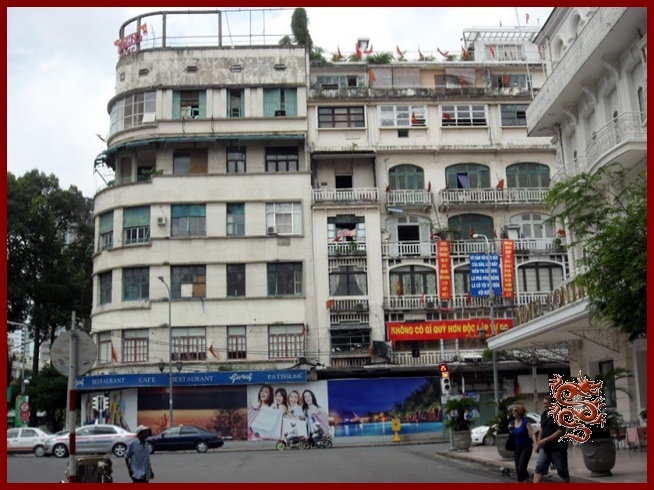 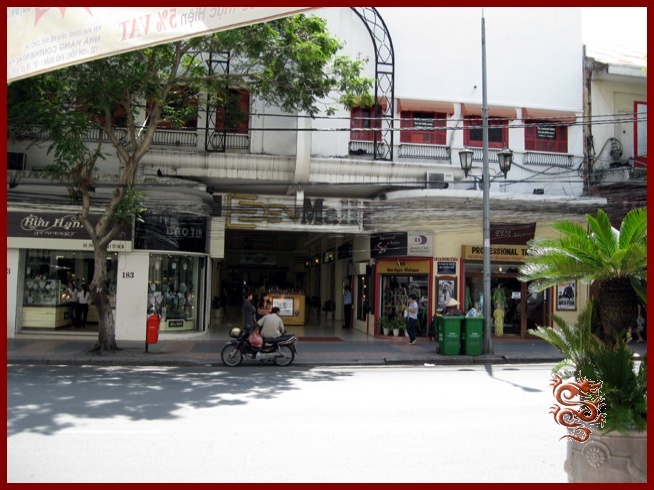 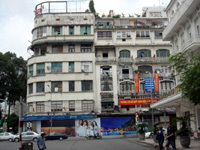 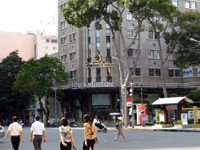 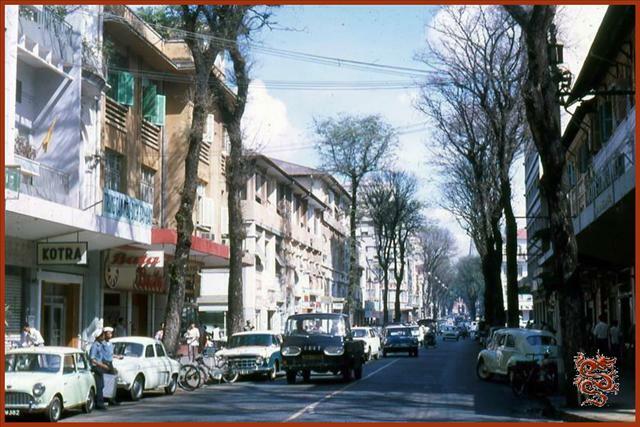 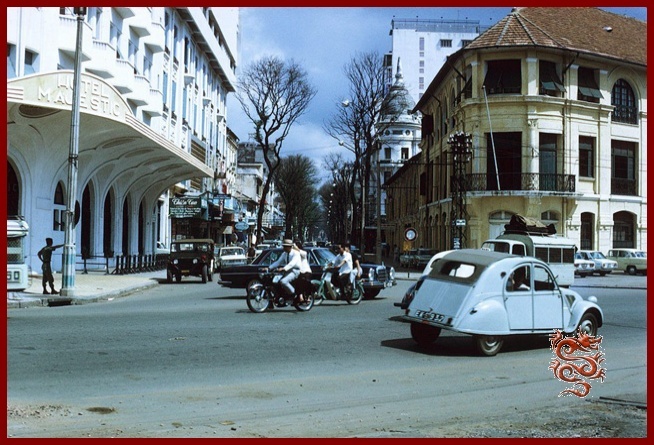 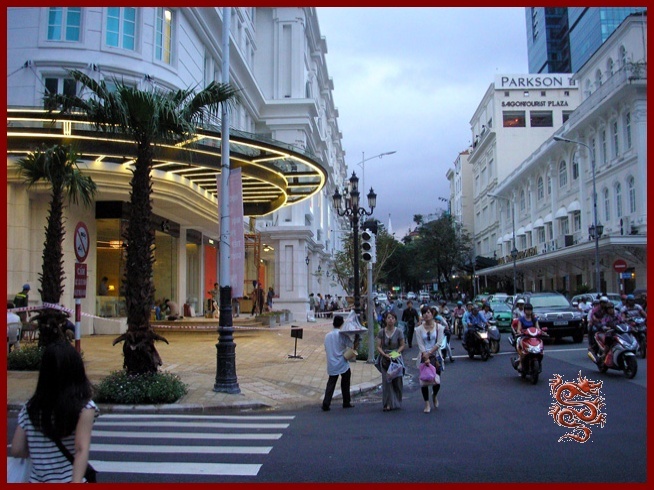 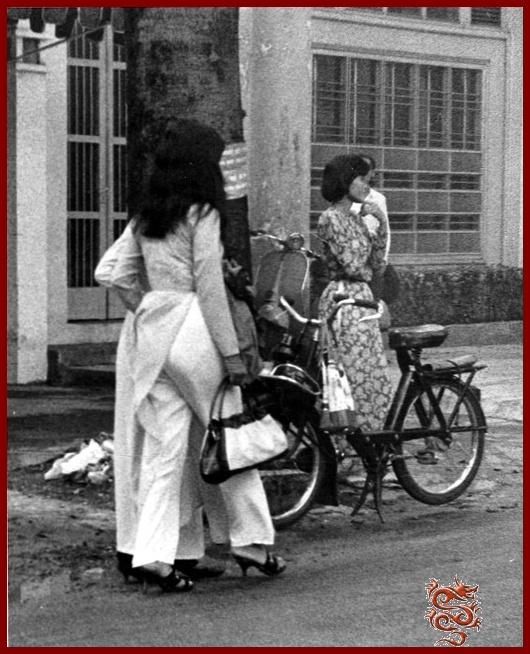 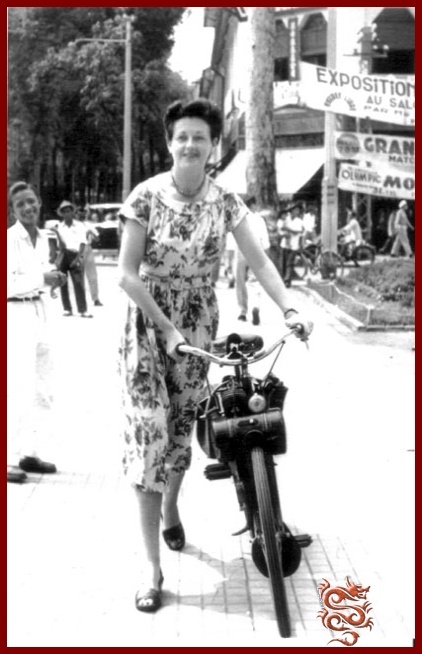 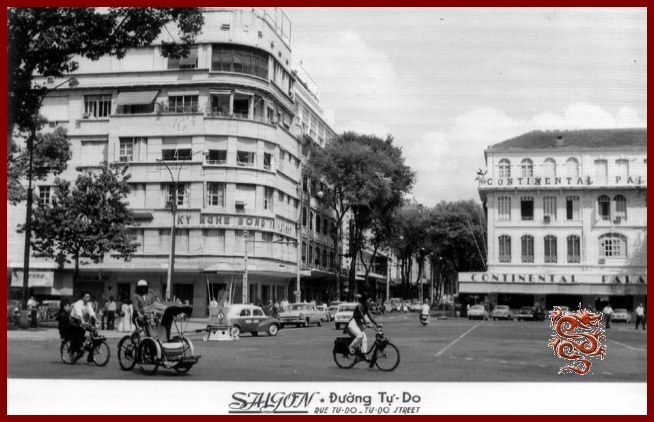 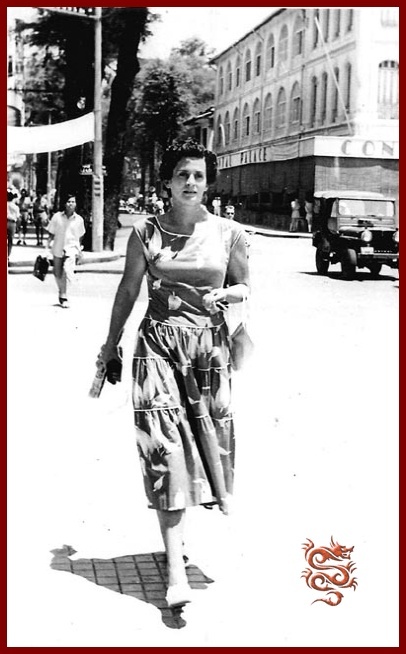 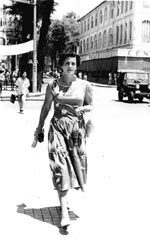 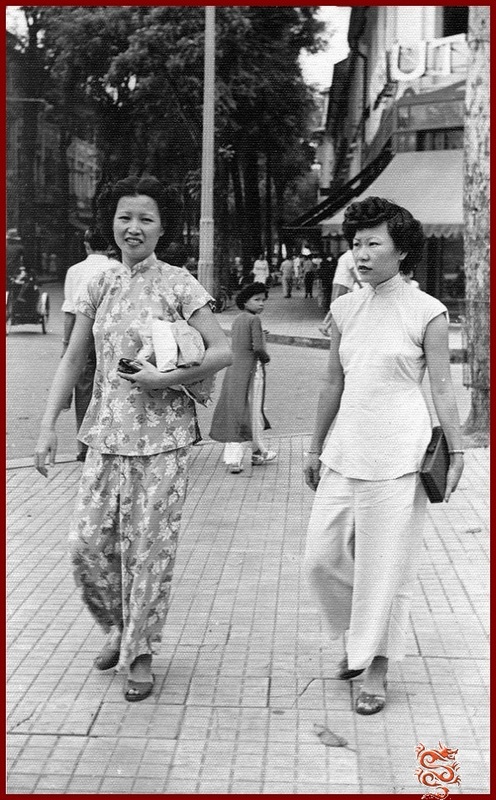 (formerly Charner), Lê Loi Blvd (formerly Bonard), and Lê Thanh Tôn (formerly Lê Loi St. and Spain St.) caused the disappearance of most of the small businesses in the “Eden Mall”, to make way for the new shopping center, “The Vincom A”, luxury boutiques and a five-star hotel that opened their doors on October 10 th , 2012, with direct access planned with the future Ho Chi Minh, Ben Thânh-Suôi subway line . 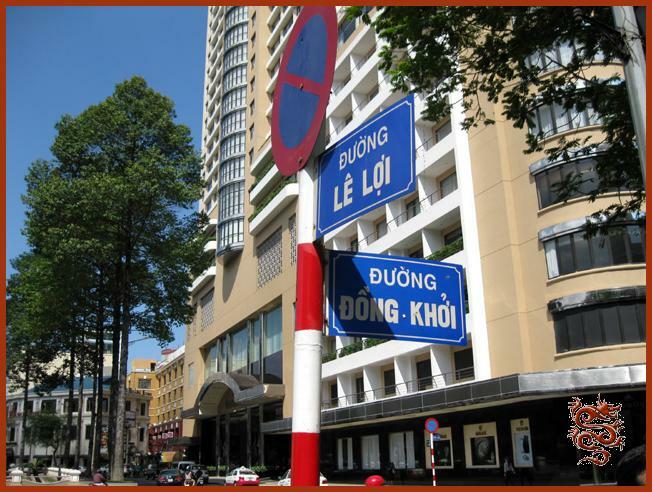 Avec un accès direct prévu avec la future ligne de métro d'Ho Chi Minh Bến Thành- Suối Tiên. 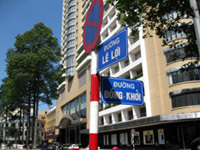 171 Đồng Khởi & 116 Nguyễn Huệ (formerly Charner Blvd.). 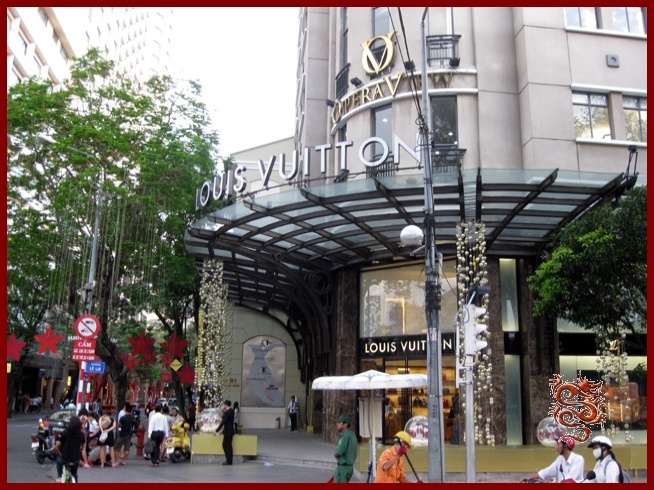 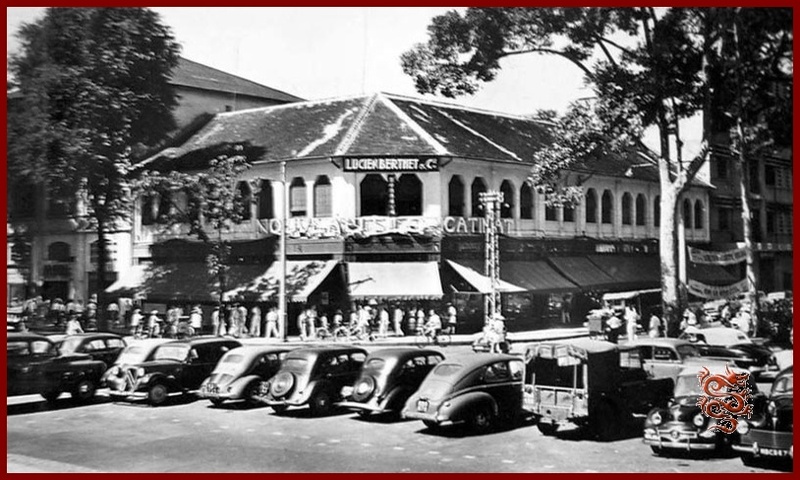 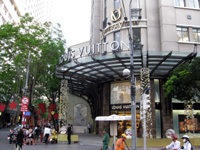 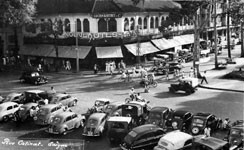 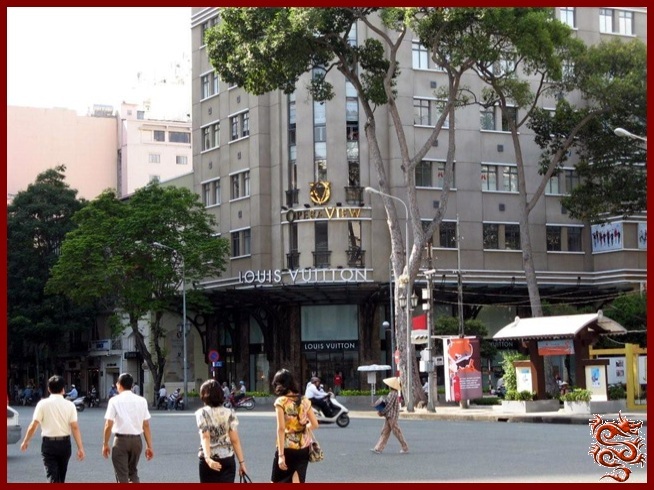 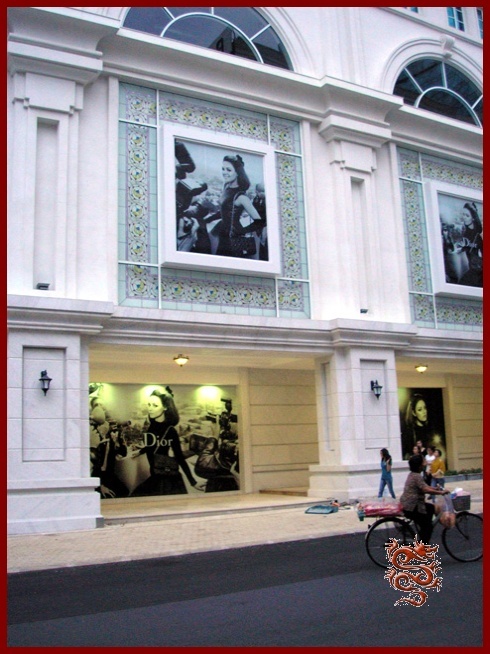 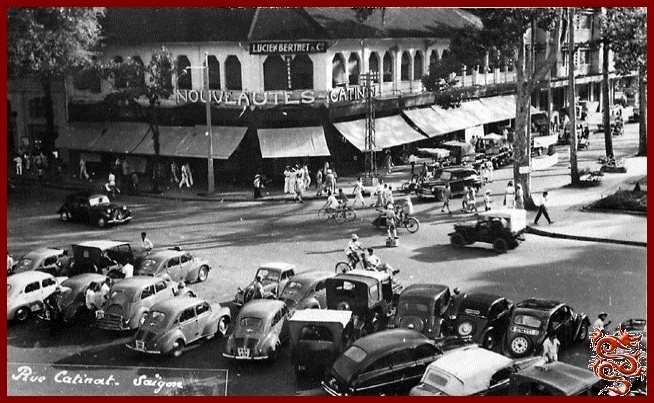 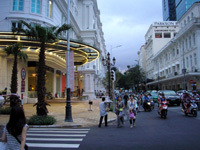 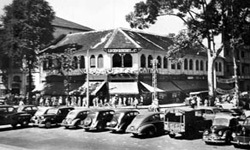 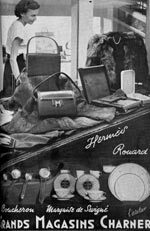 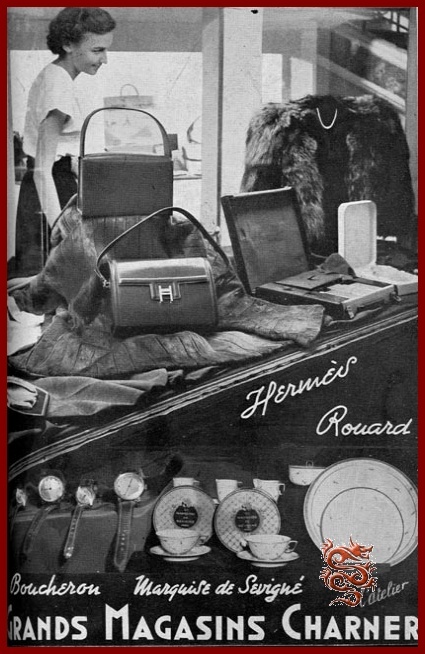 At Đồng Khởi number, the store, "Aux Nouveautés Catinat" belonging to Lucien Berthet, became a luxury "Louis Vuitton" store. 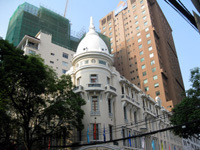 The Municpal Theater was built by the architects Félix Ollivier, Ernest Guichard, and Eugène Ferret in 1900. 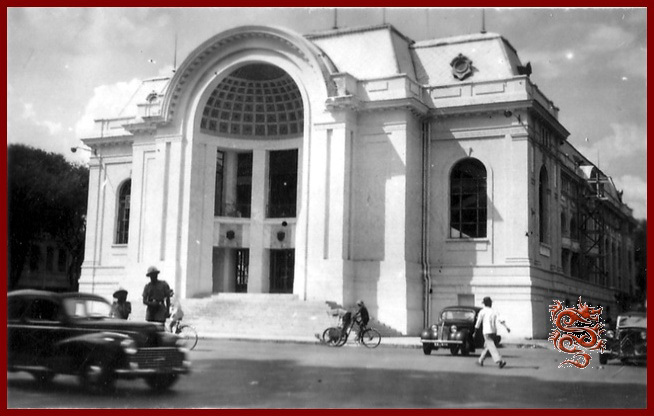 From 1955 to 1975 it became the Parliament of the Republic of South-Vietnam, and after a successful restoration it is once again a theater. 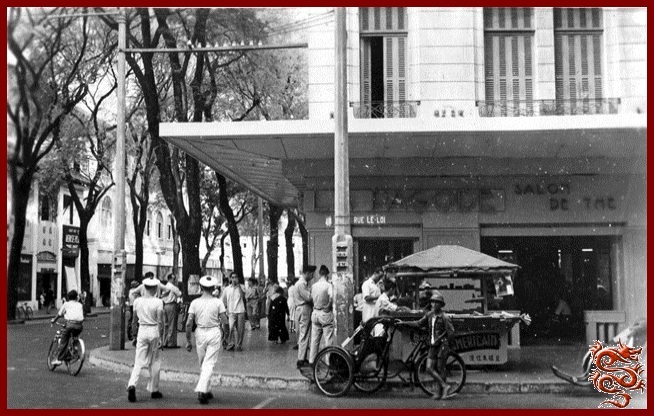 Posing for photos in front of the Ho Chi Minh Theater. 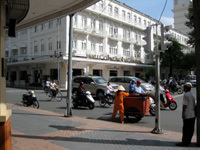 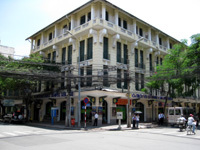 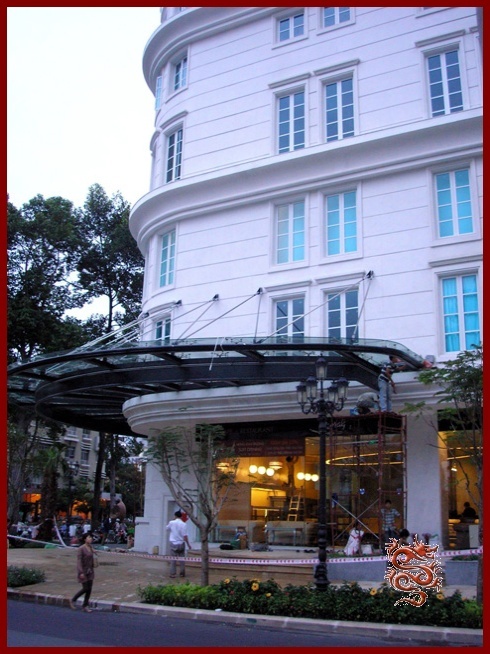 Built in 1880, the Hotel Continental is the oldest establishment in Ho Chi Minh City. 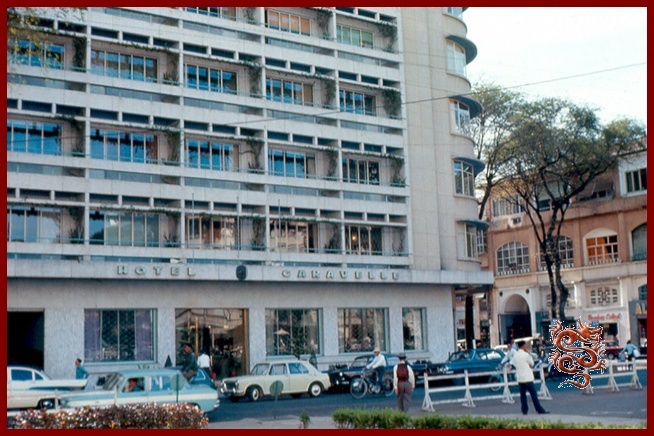 Despite its nationalization in 1975, a statue of Emperor Napoleon 1st remains in the lobby, left by the last Corsican proprietors of the hotel. 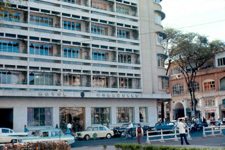 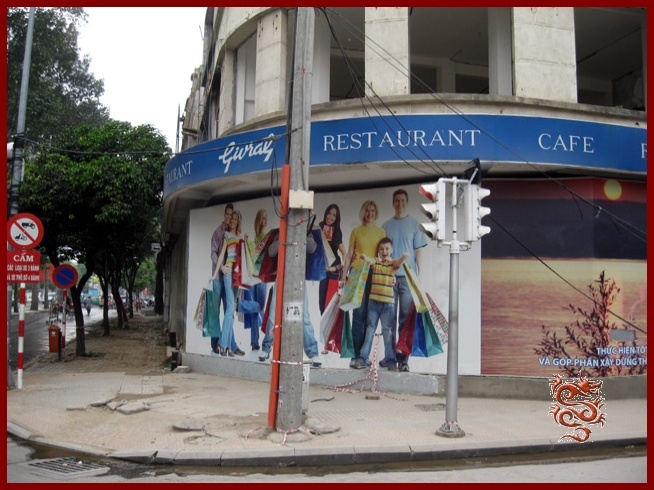 Located at 19-23 Law Square, the Hotel Caravelle opened on December 24th, 1959. 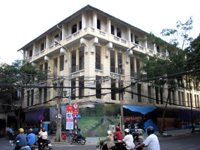 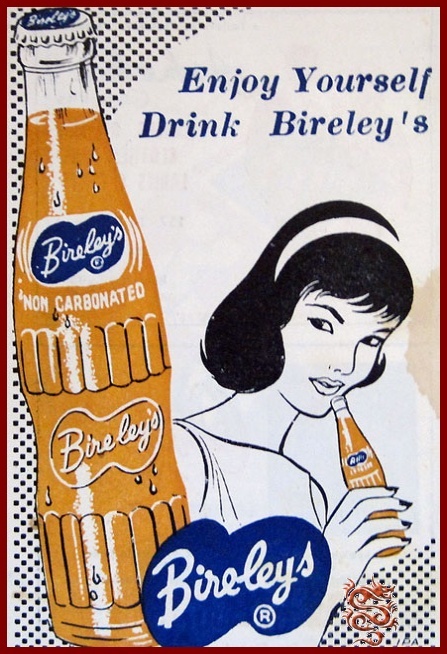 The building was originally 10 stories tall. 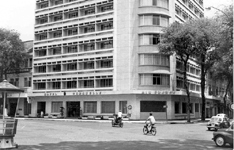 In May 1998, the new building was inaugurated with 25 stories next to the one inaugurated in 1959. 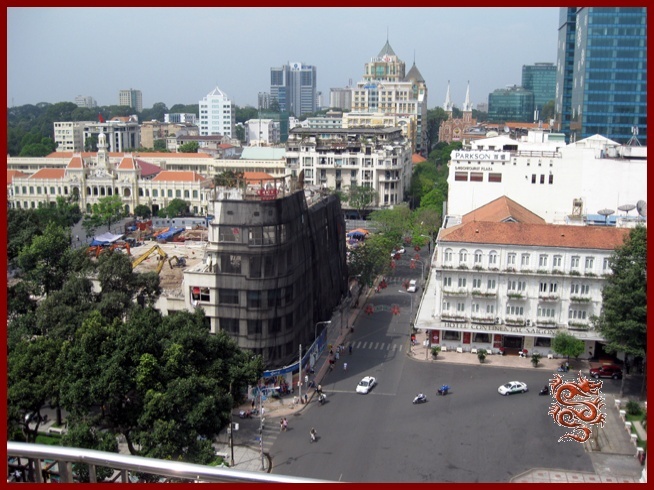 Left: View from the Hotel Caravelle towards the Continental Palace and the ruins of the Eden Mall building, December 2010. 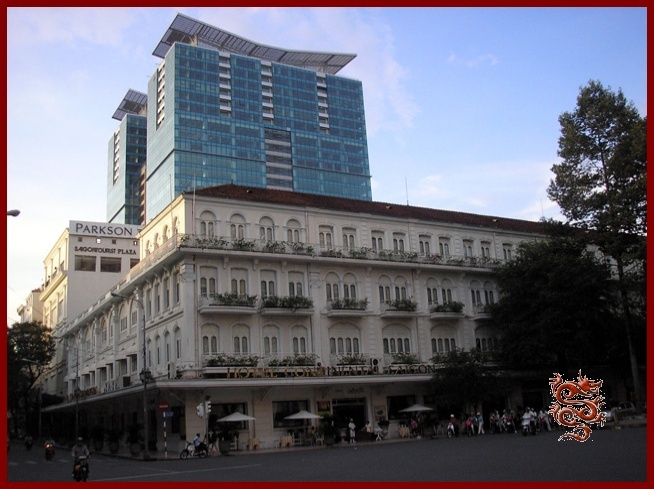 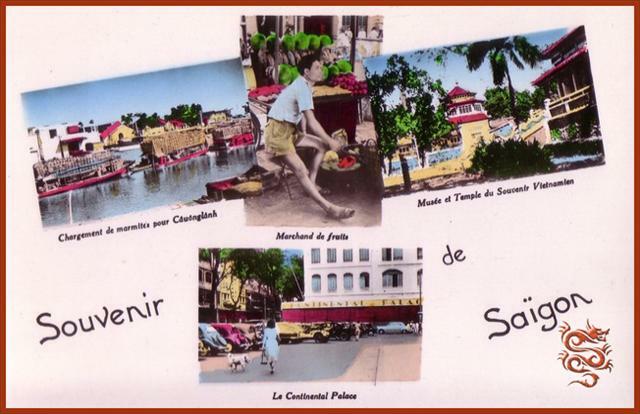 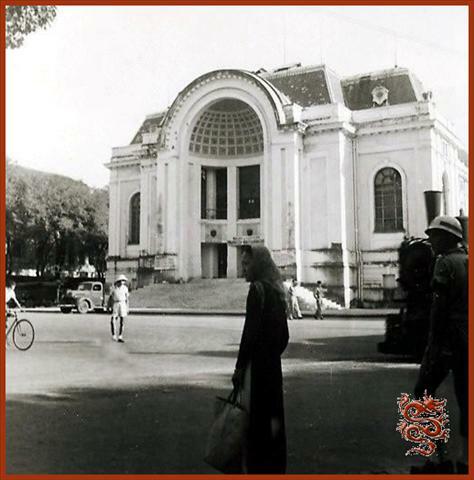 Located at number 8 Đồng Khởi (formerly Catinat), the “Grand Hotel” was opened by Henry Chavigny de Lachevrotière, and then became the Saigon Palace under the direction of Patrice Luciani in 1938. 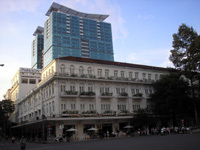 Renovated in 1997 it took the name “Grand Hotel Saigon”. 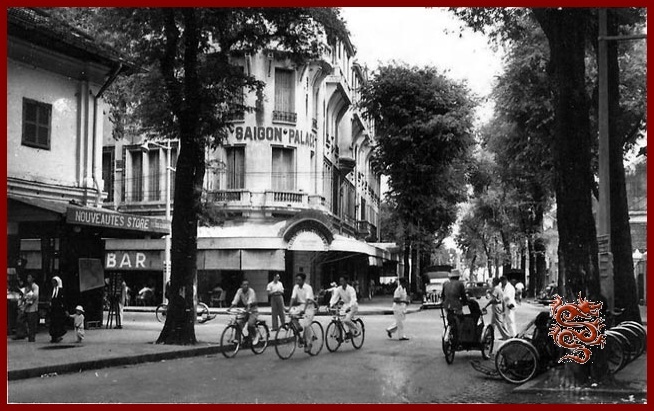 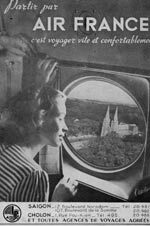 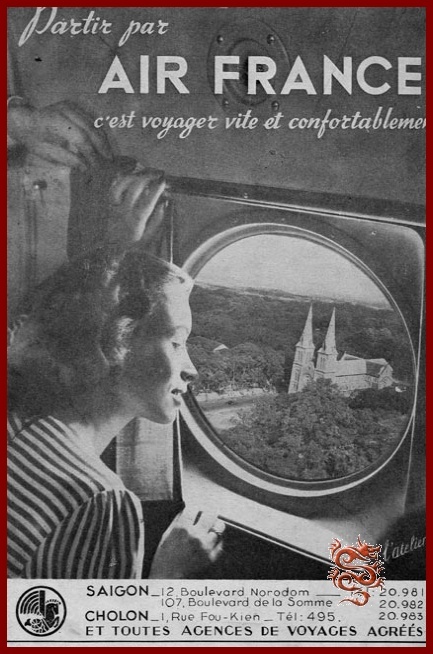 At the end of the 1940's it housed the private circle of the Maison des Fonctionnaires . 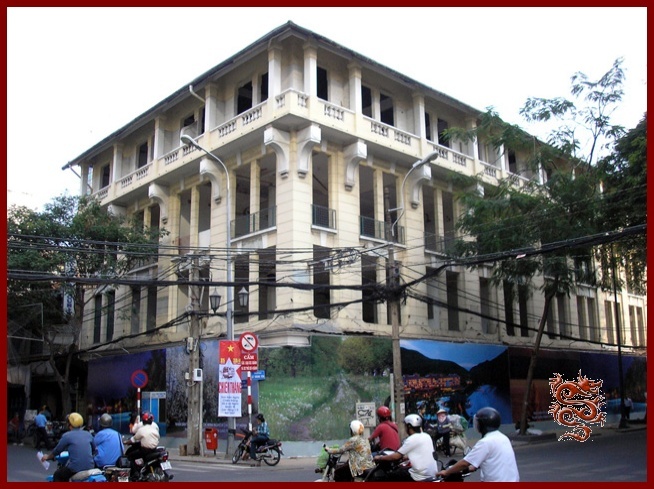 Located at 131 Đồng Khởi (fmr. 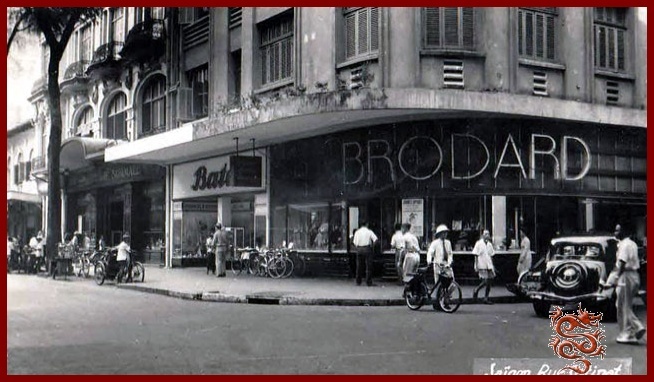 Catinat St.) , the Brodart Pastry Shop was founded in 1948. 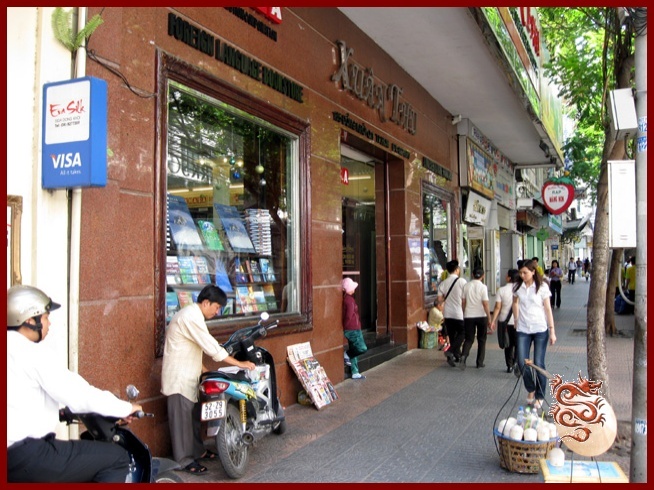 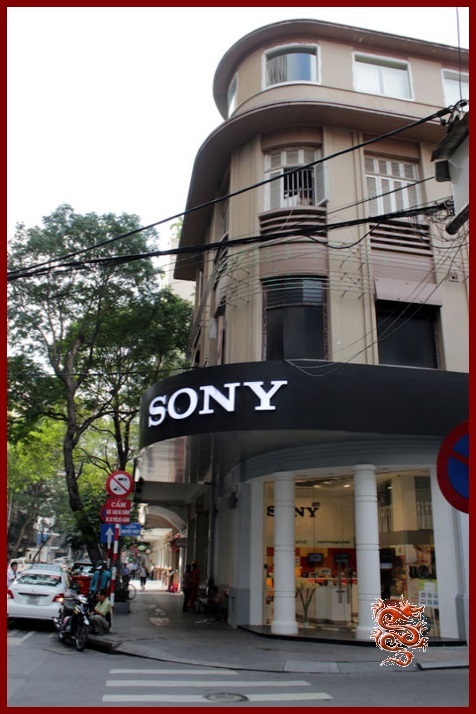 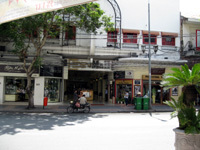 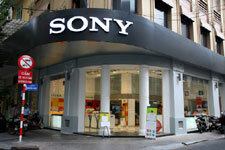 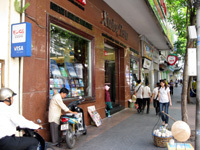 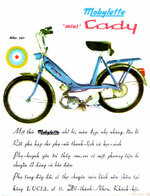 It had several shops in Ho Chi Minh City. 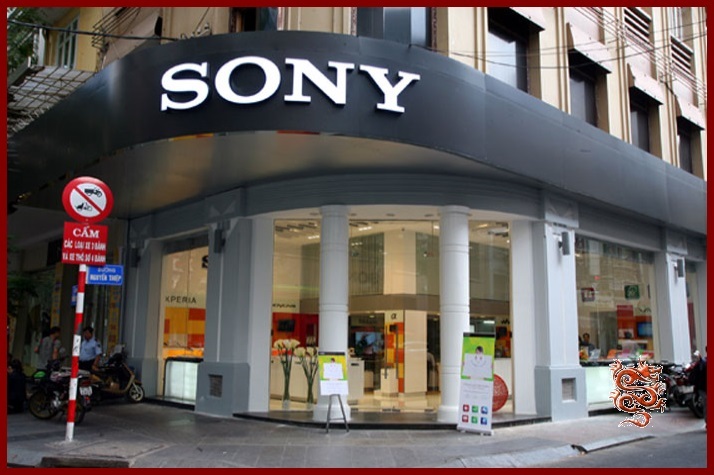 Now this is the Sony Center ! 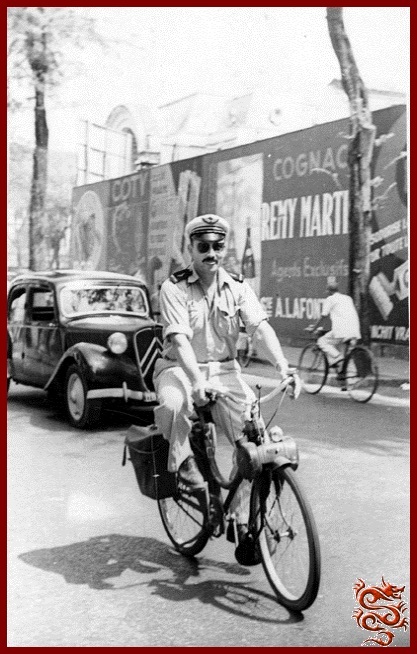 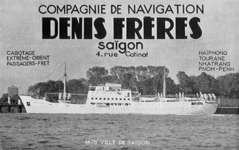 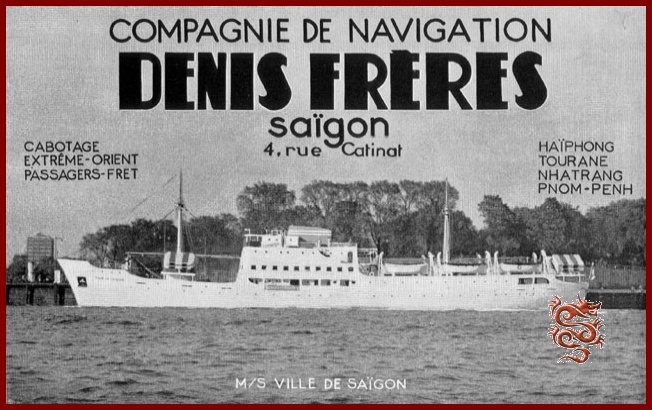 Nos; 2 - 4 Đồng Khởi (ex Catinat) was the headquarters of the "Denis Frères" Denis Brothers) Company. 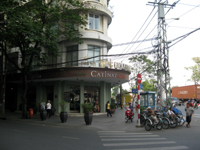 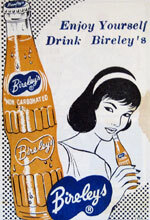 Now it’s the "Ngûyen Frère" and the "Catinat Café". 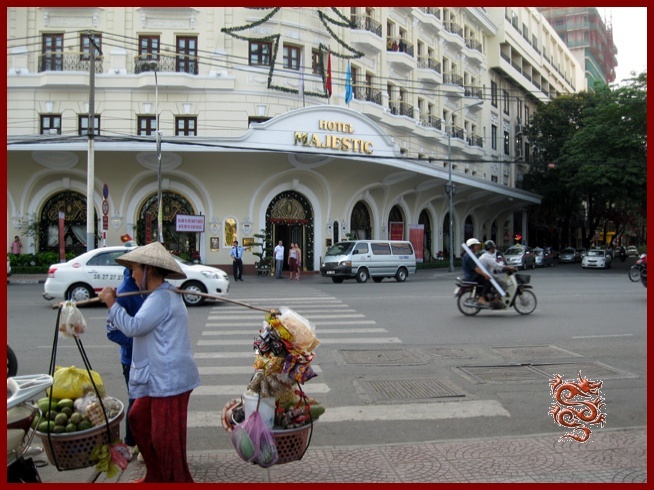 The Hotel Majestic is located at No. 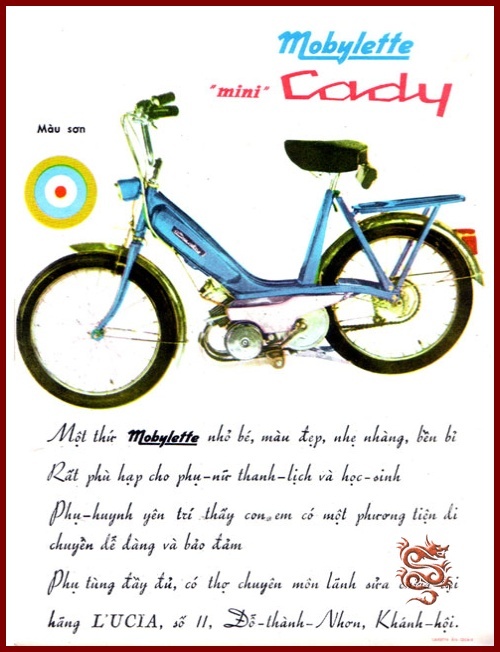 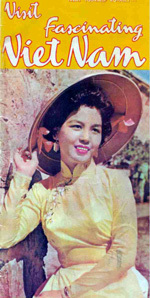 1 Đồng Khởi (fmr. 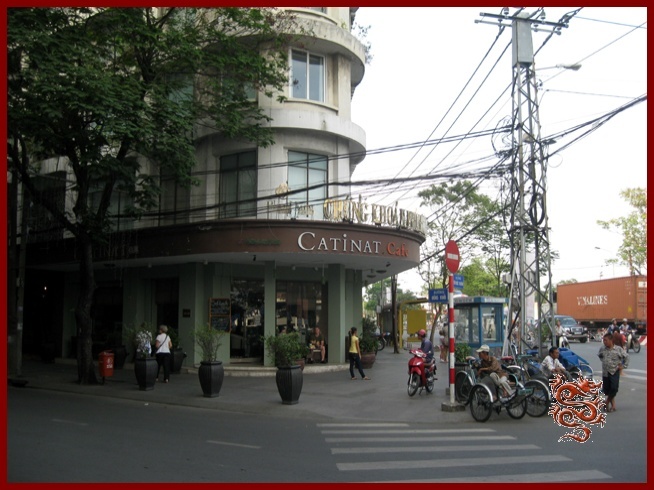 Catinat), was built in 1925, and was extended on the Ton Duc Thang embankment (fmr. 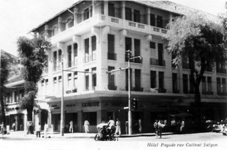 Le Myre de Villiers) at the location of the old building of the “Compagnie Maritime des Chargeurs Réunis”.